I have been keenly observing an always rising business phenomenon called the Indian e-commerce, past 3 years now. Few of the e-commerce portals have brilliant marketing strategies. Over these 3 years, the Indian e-Commerce sector rose from 12 billion dollars in 2013 to 20 billion dollars in 2016. What had started as a day’s sale (inspired by the famous Black Friday sales of the USA and the European nations) has expanded to become a week-wide affair. 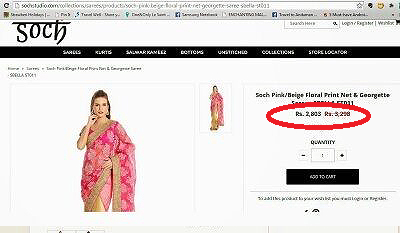 Last year, the sale season coincided with Diwali. This year it ran during Navratri, more like a pre-Diwali sale. Today, no other websites dare to run sales during the same time as these 3 giants. 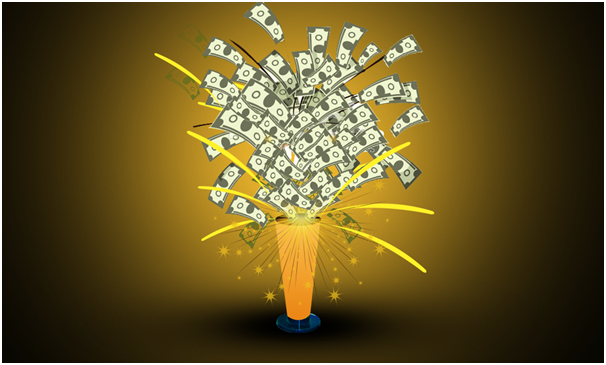 The reported first day sales of the leading website were a mind-boggling 20 million dollars! A sale of 20 million dollars in a single day! How often does that happen in business? RedSeer Consulting gave a whopping figure of 1.5 to 1.7 billion dollars (goosebumps anyone?) only from the sale week of these 3 websites. With every passing year, these figures are multiplying. When it comes to customer buying strategy, I have come to certain conclusions. Here’s a list of lessons learnt. I hope they help you. The sales always begin at the midnight of the said date. So, it will be a smart move to create a wish-list beforehand. This way you will avoid fumbling with the pages looking for the products. It will save a great deal of time. These websites get re-designed and re-structured at the beginning of the sale. So, the page load speed becomes relatively slow. Not to forget, the on-the-verge-of site crash traffic during this period. Hence, it is better to start your product hunt ahead of the beginning of the sale. You may have your favorite website of the three, but it may not bring to you the best deal. So, do not stick to a particular website. You will surely find branded products on all the 3 portals (tech devices, high-streets store products, and celebrity merchandise are an exception here). For locally manufactured products, here’s a tip. If you find it on a particular site, you are likely to find it on the other 2 websites too (hence they call it a cut-throat competition). What’s the best part about it? You can compare the prices; cash back offers, reward points, and availability of free delivery for the same product (Many products need minimum buying amount for free delivery ). An important tip to save money. Suppose you are looking for a Samsung phone. Won’t it be better to open 3 consecutive windows on your desktop/laptop than struggling on the phone? You can simultaneously check the reviews of the product too. It will save you a great deal of time and efforts (which can be quite handy since the products are sold out in a jet pace). Moreover, you can’t get a fair look at the product on the phone as compared to a larger screen. Also, the processors on the phone are relatively slow. P.S. : Don’t just stick to the company’s app to shop. At times, the product prices may vary on an app and desktop. You may find a cheaper deal on the desktop site. Here’s an analogy. Assume you get a dozen of free cupcakes. Now, would it be sensible to eat all the 12 cupcakes? No, right? So, why not do the same for your wallet? Don’t buy something just because it is on a discount. No, you don’t need those headphones. You already got 3 pairs! I don’t intend to derogate anyone.I’m simply trying to explain the highlights of smart shopping. What make an exception here are the consumable products, non-expiring/long expiry products, and products where warranty/guarantee is not limited. Such products can be stored to be utilized later. Yes, there is a discount on all the products throughout the sale period. But there are more discounts on some products at certain time of the day. Also, these discounts focus on a selected category of products each day. If you keep a close watch, you will be able to understand their pattern of giving discounts. I know what you are thinking. How can one keep a tab throughout the day? So, here’s an easy solution. Sign up with a good price comparison app/software. 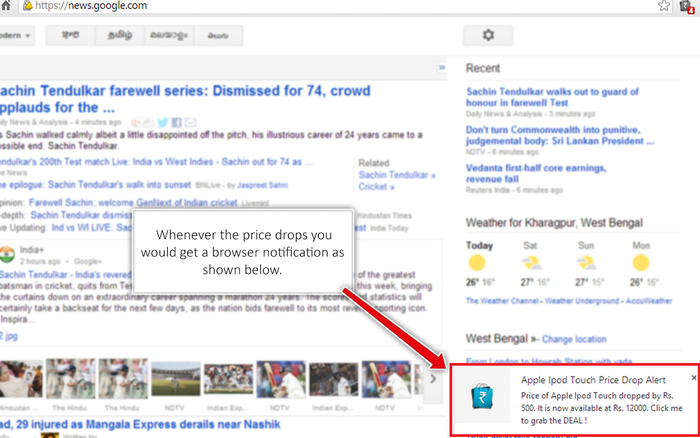 Select the option for notification on price-drop of selected products. You will get an immediate pop-up when there is a change in the price. Here’s another tip. 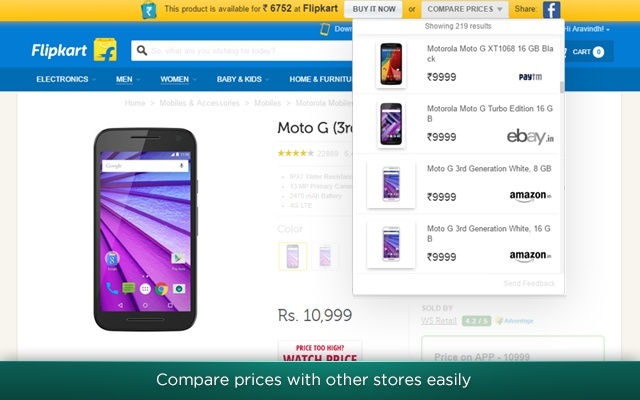 Install an Add-on plug-in or Price plug-in to compare prices with the other websites. Bonus tip. Install plug-ins few days before the sale. Why do you need to do this? 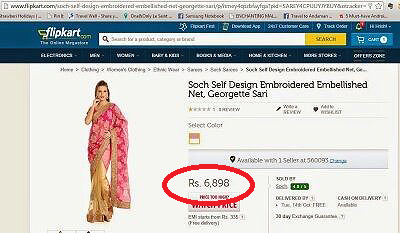 Well, sometimes the final price of certain products before and during sale is same. The trick they use is that they raise the price back to its MRP and run discount on it. When you order something and pay for it in advance, it then becomes the website’s duty to arrange that product for you (even if they run out of stock). Paying for the product in advance is like an unsaid obligation/token to the website. A company has to prioritize orders during short supply. Hence, they will first deliver the paid products first. No matter how much discount you are getting for a product, do not forget to surf the voucher portals. These 3 giants are associated with many websites that provide additional discount coupons and codes. Look for these sites and bookmark them. Also, for few products there are extra money-back offers using coupons. Always… I repeat, always read the return policy for the product you are buying. The policies may differ for certain products. Think twice before buying the product if the seller’s details are not stated or there is no mention of the return policy. P.S. : Read customers’ reviews, but do not be biased. Look for the seller’s details instead and contact him. Always ask the seller to send the policy details via email (on-paper proof). This should always be done while buying electronics, products that come with guarantee/warranty or expensive products. There is no doubt that these sales benefit the buyers. But won’t you prefer to be a smart buyer instead? I hope that these tips help you shop smarter during their next sale. Feel free to give your feedback/suggestion/another trick from the hat. A content maven with Goodfirms.co, a Washington-based research and review platform for app development companies. She is focused mainly on helping small companies establish. She has 3 years of experience in extensive project research and has been associated with many websites.